Iain Murray | Pray for Revival! You are currently browsing the category archive for the ‘Iain Murray’ category. Winston Churchill once wrote to his schoolboy grandson, urging him to be a student of history because history provides the best means for making intelligent guesses about the future. However, by reading Scripture Christians can do more than guess the nature of a future awakening. We know it will be in accord with all that we are told about the character and work of God. This is not to say that revivals are identical, yet certain main features are always present and it is not speculation to believe that these will be present again in future awakenings. Within the last forty years, scarcely anything has been changed so much as modes of worship. The form of worship in many evangelical churches has become almost unrecognizably different from what it was before. But the question is whether amidst this transformation the big thing has been addressed, namely, that worship-as the word itself should remind us-has to do with the “worth-ship” of God. 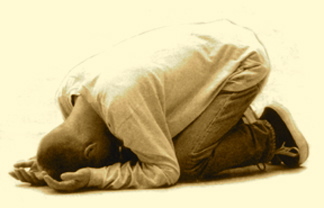 We Must Pray if Revival is Going to Come! History reminds us that if revival is going to come, then it will be proceeded by fervent and consistent prayer. “There was a remarkable revival of religion in the town of Petersburgh, and many of the inhabitants were savingly converted; and the Christians greatly revived. That town never witnessed before or since such wonderful displays of the presence and love of God in salvation of immortal souls. Prayer meetings were frequently held both in the town and in the country, and souls were frequently converted at those meetings, even when there was no preacher present; for the prayers and exhortations of the members were greatly owned of the Lord. The most remarkable work of all was in Sussex and Brunswick circuits, where the meetings would frequently continue five or six hours together, and sometimes all night. At one quarterly meeting held at Mabry’s Chapel in Brunswick circuit, on the ;25th and 26th of July, the power of God was among the people in an extraordinary manner: some hundreds were awakened; and it was supposed that above one hundred souls were converted at that meeting, which continued for two days, i.e., on Thursday and Friday. Some thousands of people attended meeting at that place on that occasion. The next quarterly meeting was held at Jones’s Chapel, in Sussex county, on Saturday and Sunday, the 27th and 28th of July. This meeting was favored with more of the divine presence than any other that had been know before . . . 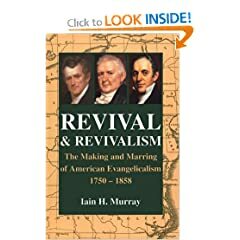 The great revival of religion in 1776, which spread extensively through the south part of Virginia, exceeded any thing of the kind that had ever been known before in that part of the country. But the revival this year far exceeded it. It was thought that in the course of that summer there were so many as sixteen hundred souls converted in Sussex circuit; in Brunswick circuit about eighteen hundred; and in Amelia circuit about eight hundred. In these three circuits we had the greatest revival of religion; but in many other circuits there was a gracious work, and hundreds were brought to God in the course of that year.
. . . the work was not confined to meetings for preaching; at prayer meetings the work prospered and many souls were born again . . . It was common to hear of souls being brought to God while at work in their houses or in their fields. It was often the case that the people in their corn-fields, white people, or black, and sometimes both together, would begin to sing, and being affected would begin to pray, and others would join with them, and they would continue their cries till some of them would find peace to their souls” (79).